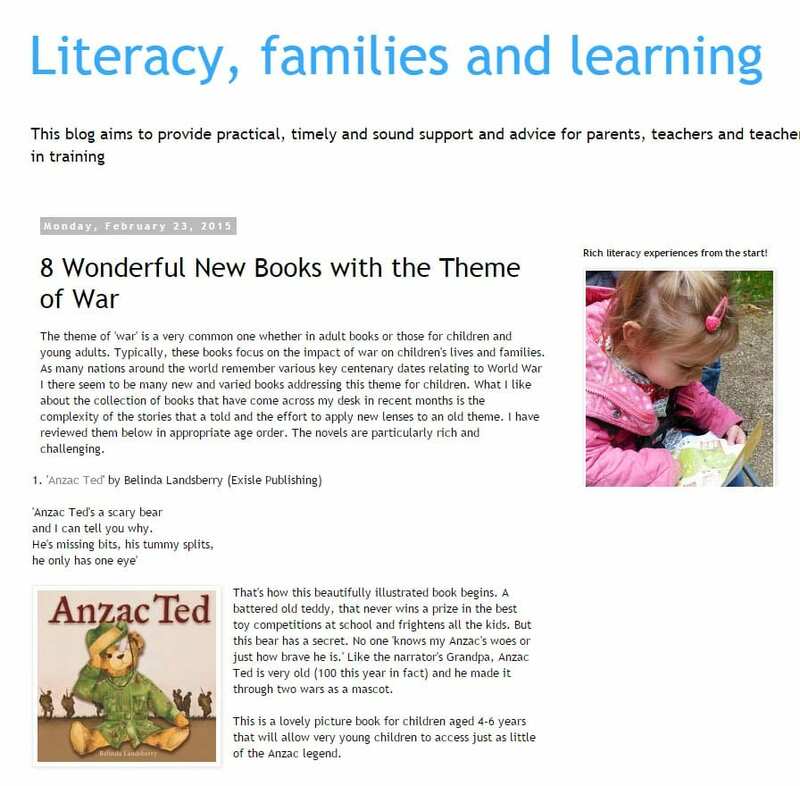 ‘There’s no doubt that war and conflict can be hard concepts for children to understand. 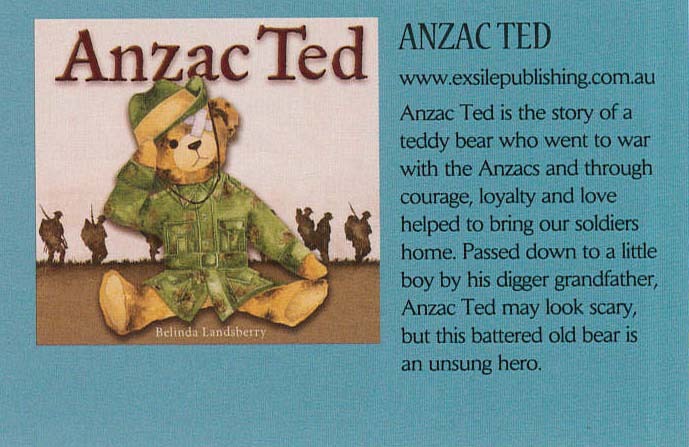 Anzac Ted helps to explain the Anzac legacy to the younger generation. 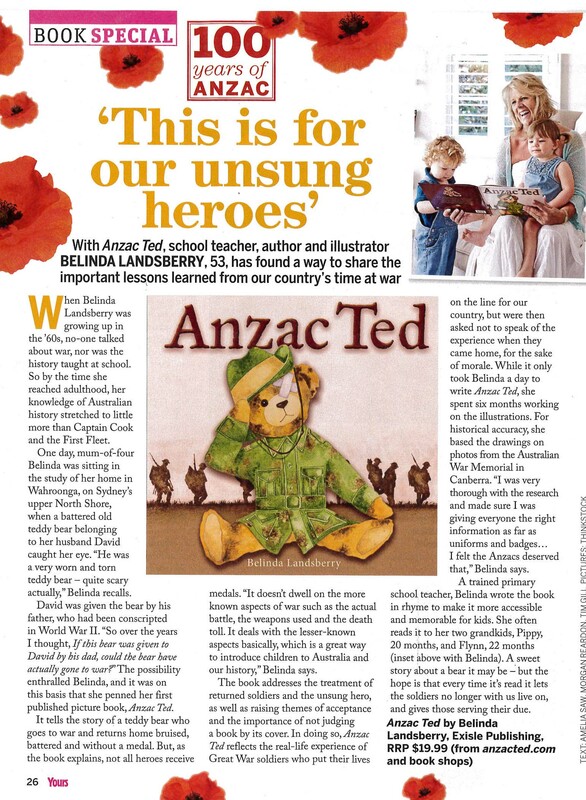 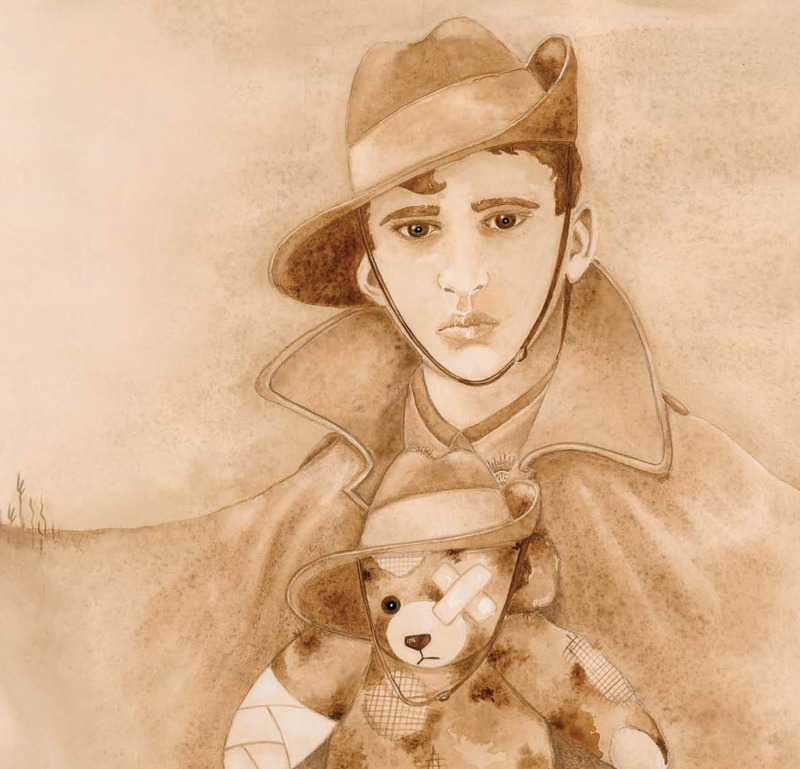 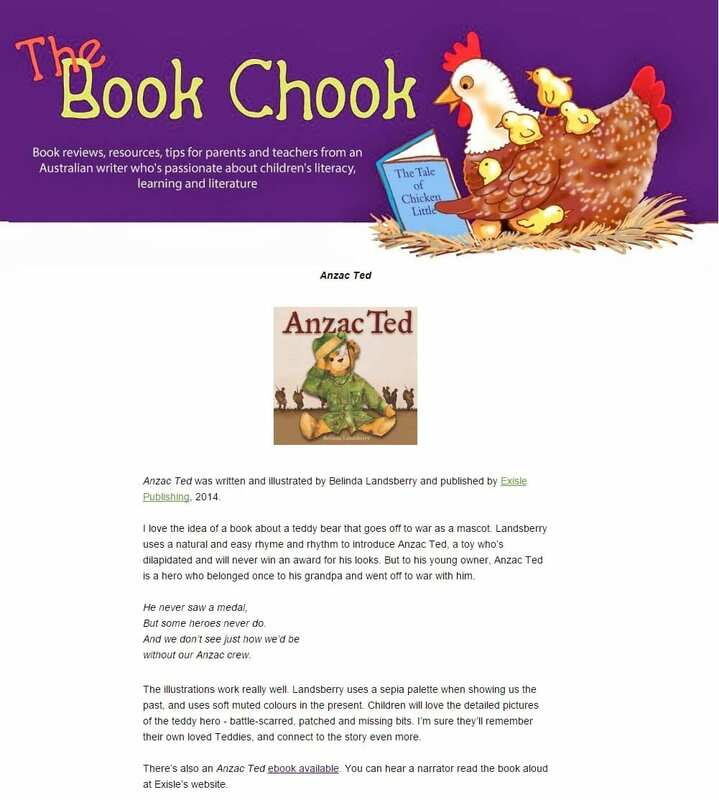 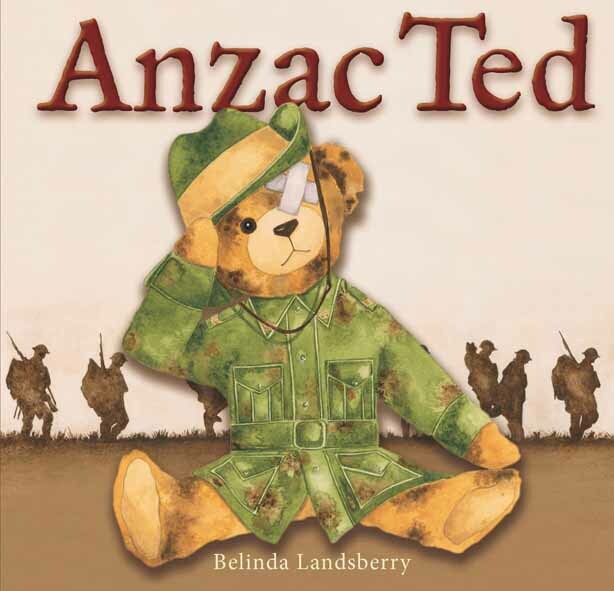 The book, written and illustrated by Belinda Landsberry starts with a description of a raggedy scary-looking teddy bear Anzac Ted that is the object of disdain at Show and Tell at school……………………………………………….. 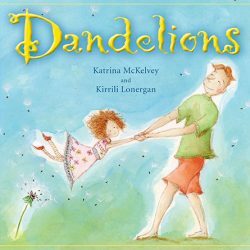 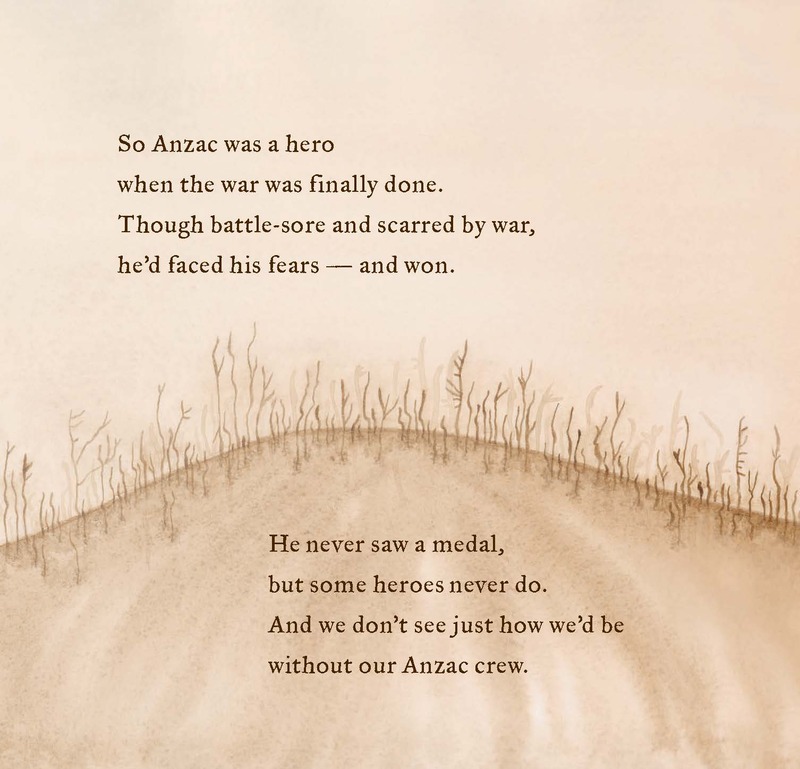 Focusing on themes of war, conflict, family and love, this is a very special children’s book. 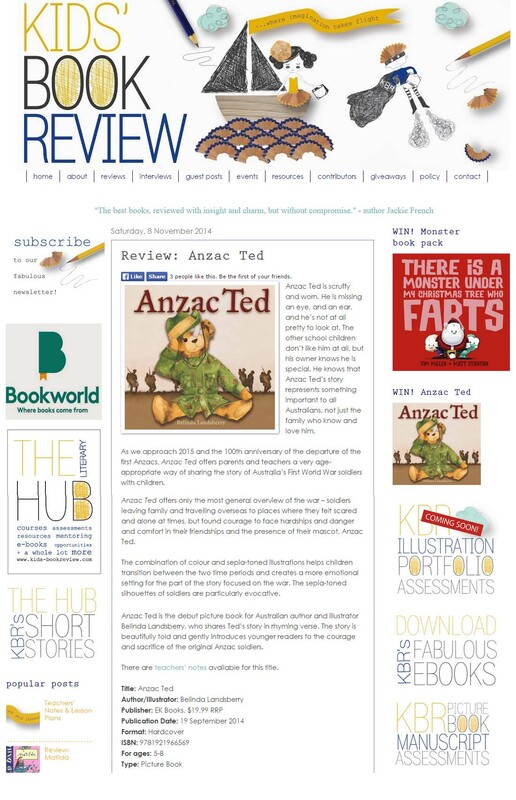 As we approach the 100th anniversary of the Gallipoli campaign next April, share the story of Anzac Ted and the Anzacs and remember their sacrifice.’ – Read full review here. 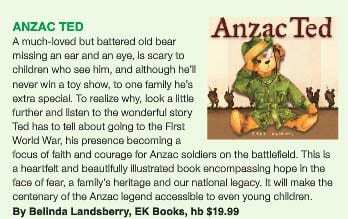 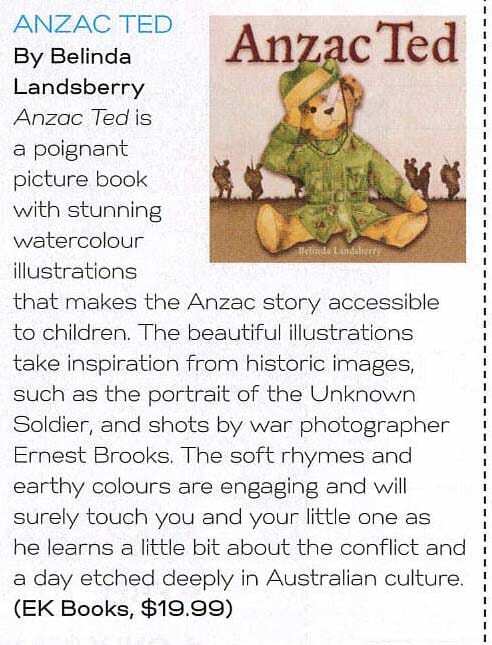 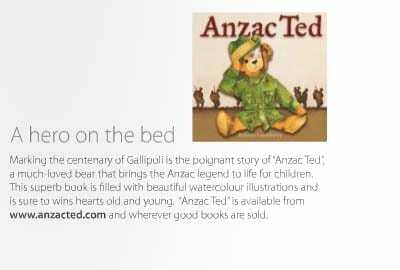 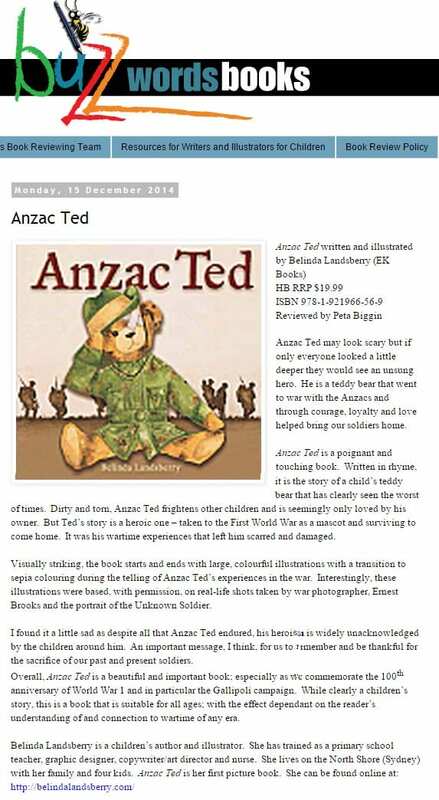 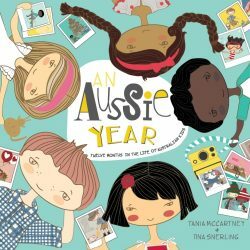 Anzac Ted has made the shortlist for West Australian Young Readers’ Book Award 2016 in the category of Best Picture Book. 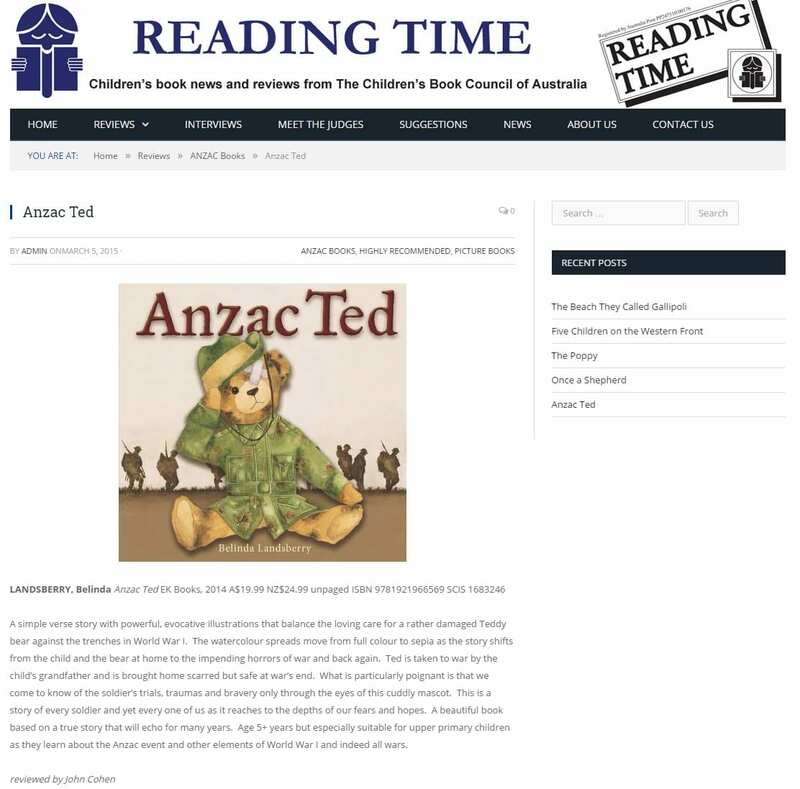 The Award operates by inviting young readers to nominate, through their libraries, books that they have enjoyed. 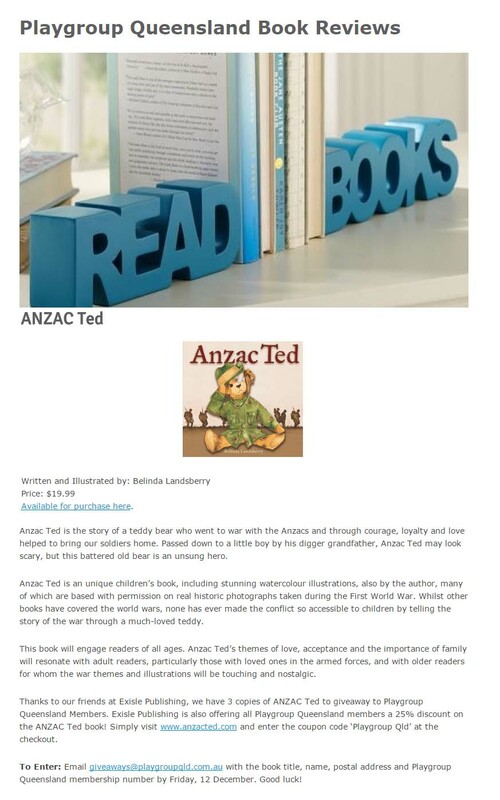 These nominations are then considered by the WAYRBA committee. 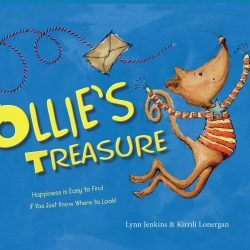 We love this book and it is good to know that the audience for whom they were written loves them too. 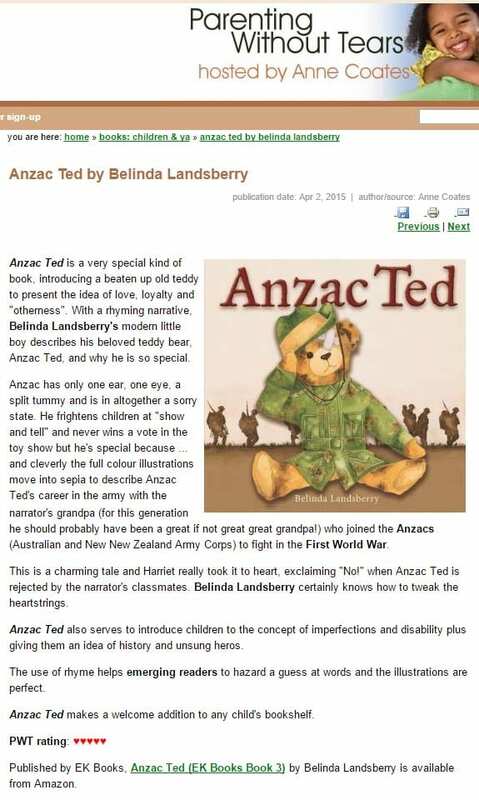 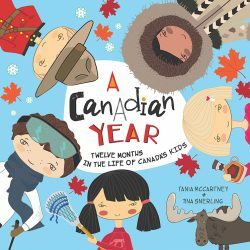 Congratulations to Belinda Landsberry and EK Books publisher Anouska Jones!